As we head into a new school year, I always reflect on what really worked last year (and what didn't). For the last few years, I've been working extra hard to create a positive classroom climate. It's always been important to me that my students feel safe and happy at school. Here are a few things that worked for me that you can try in your own classroom! Let students have a say in the rules. 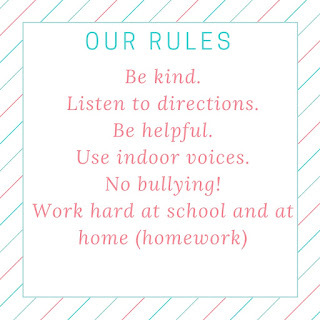 The first day of school, have students brainstorm the rules that are the most important to them. Not only does this tell you what they want your class to be like, it also helps them buy into the rules. 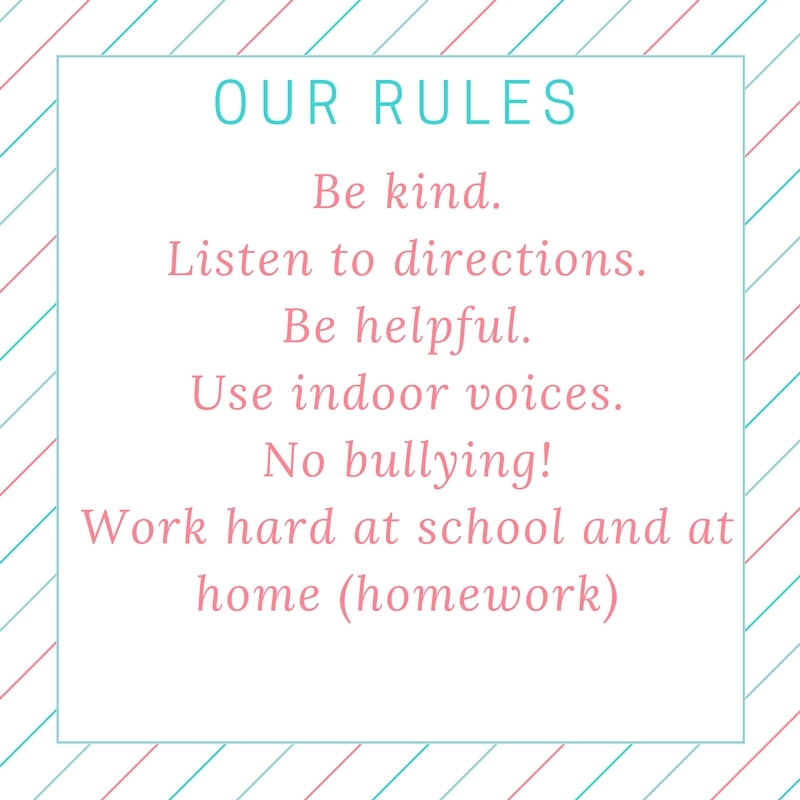 Here are the rules my 4th graders came up with last year. You can see that we focused on the few that were most important to them, and they happen to be the most important to me too! Too often we make announcements when students are in la-la land. Maybe you need to talk to your class about their behavior in the cafeteria, or make an announcement about a fundraiser. The best way to do this is during morning meeting. Morning meeting is when you have students gather together (preferably on a carpet or some place where they can sit close as a group) during a special time of the day to make important announcements and recognize students for exceptional work (see Recognizing Student Strengths below). I found that once a week on Friday morning worked well, but one year with an extra difficult class I had to do morning meeting every day for a couple of months. My students always get SO excited about morning meeting, even though we often talk about things like behavior and expectations. I make sure to keep it positive and keep the discussion open so that students feel like they can share and add to it. When I had that very difficult class who had a daily morning meeting, they were actually more open to discussion and reflection than any other class I had before. This showed me that the morning meeting really helped us grow as a class. One of the biggest classroom management problems is motivation. I can easily handle an unruly kid, but those kids that just don't want to do anything are tough. At the beginning of the year, have students set specific goals using the SMART goals format. These are really hard to write, so practice goal setting once a week for the first few weeks. After that, set aside a time where students can journal about their goals and set new ones on their own. A SMART goal would be something like this: I will carefully take notes and ask for help in math so that I will meet or exceed the standards this quarter. By the end of the first month you should have recognized each student for something positive. It's harder with some than others, but it's necessary for all students to feel like an important part of the classroom. 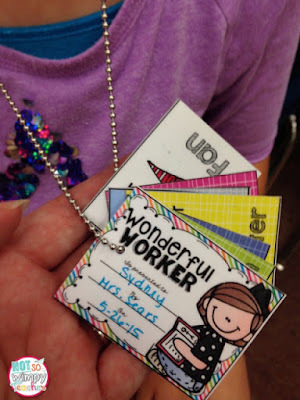 One of my favorite ways to recognize students is with Brag Tags. These tags are just laminated pieces of paper, but they are the best reward EVER! Students proudly display their accomplishments on a necklace that they add to throughout the year. My goal is to make sure that each student gets at least one tag every month. I recognize students with brag tags at morning meeting every Friday. This makes morning meeting a positive experience, even though we're sometimes addressing some negative behaviors. Click here for more information on using brag tags! 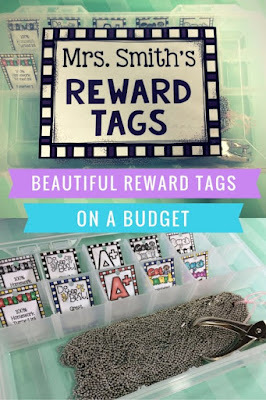 Click here to find out what supplies you'll need to make brag tags! I know this sounds silly, but it's hard to stay positive sometimes. Always do your best to be positive and professional with your students, even when you're having a tough day. They pick up on your energy and can feed off of it! 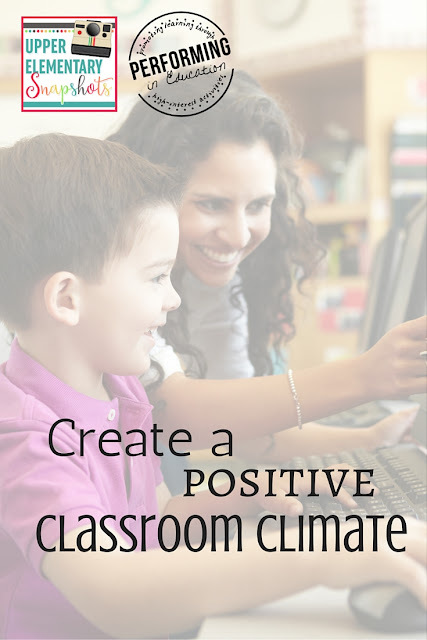 Not only will being positive keep your students calm and happy, but it'll help you feel better as well. 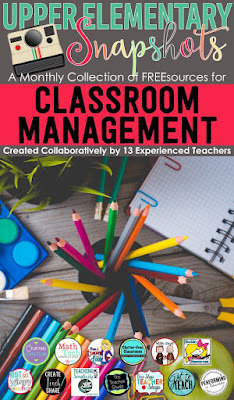 Check out our classroom management ebook for more ideas!